After the now infamous elevator fight between people who look a lot like Solange Knowles and Jay Z, the Internet came up with a ton of theories as to what caused the altercation. 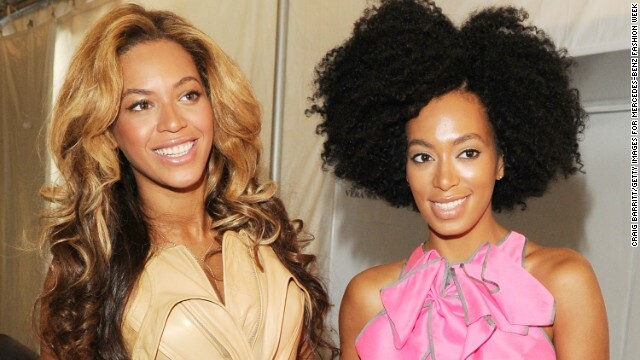 Among the many rumors was that perhaps there's some sort of tension or sibling rivalry between Solange and Beyonce, gossip that was given more credence when it appeared that Solange had deleted all photos of her older sister from her Instagram account, save for one. But by Wednesday morning, Beyonce - whose own Instagram post of a prayer about separating oneself from anyone who "isn't a good influence" made plenty of tongues wag - had shared several photos of herself happily smiling with her sister. "Good morning," was the caption of one photo, which led a succession of cheerful images. Between Beyonce intentionally posting those snapshots and the fact that if you scroll through Solange's Instagram feed long enough, you'll find more photos of Bey, it looks like the sibling rivalry theory is teetering on the edge of being debunked. So what else could've caused the outburst we've all watched way too many times? Everyone's guess is about as good as yours. One thing is clear, though: Beyonce, Jay Z and apparently Solange have moved on. Remember when reading this tweet, dated May 11, that the reported altercation happened on or shortly after May 5.